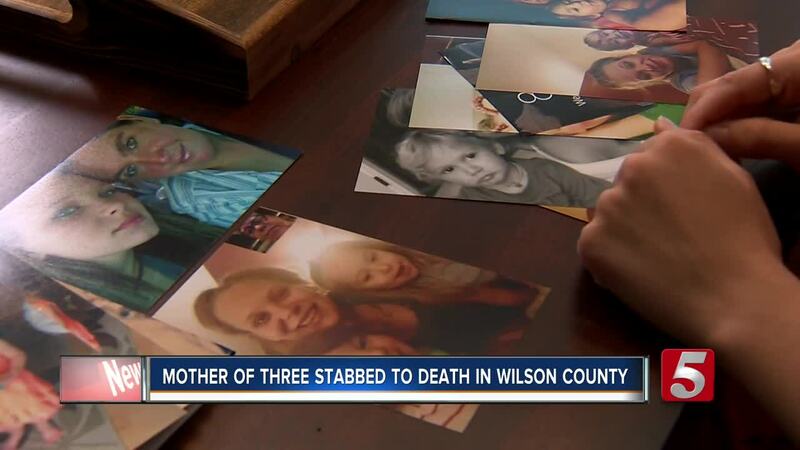 A Wilson County man is facing a first degree murder charge for allegedly stabbing his girlfriend to death while the couple's children were present. Police arrested 28-year-old Christopher Clark Saturday morning. He's accused of murdering 25-year-old Ariel Warden inside the home they shared with Warden's grandmother. "She would have done anything to protect them," said Emily Wright, a family member who witnessed the aftermath of the crime. "I do believe she did." Wright said Warden was a kind and bubbly person who attracted friends easily with her smile and personality. She was also a loving mother to the three daughters she shared with Clark: 3-year-old Brooklyn, 2-year-old Bryleigh, and 3-month-old Braelynn. "She loved being a mom. She loved her babies," said Ellen Warden, Ariel's mother. "I'm never going to see that beautiful smile or hear her voice ever again." Family members have launched a gofundme to help cover the unexpected costs of childcare and funeral expenses. They said Ariel did not have life insurance. To donate, click here . The family is also in need of Similac Sensitive formula and diapers sizes one and five. Police have not said why Clark brutally attacked the mother of his children. He is being held in the Wilson County Jail and faces charges of first degree murder, aggravated assault, and two counts of child endangerment.